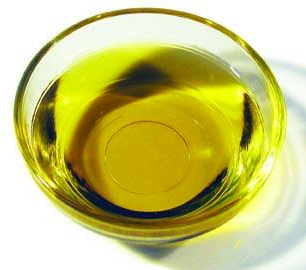 Moringa seed oil is highly valued in the cosmetic industry for its unique property. Moringa seed is light and spreads easily on the skin. It is better for massage and aromatherapy applications. Moringa seed oil has exceptional anti-aging properties. Antioxidants and nutrients present in Moringa seed oil help to curb the activity of free radicals on the skin. Free radicals are the agents that cause damage to the tissues of the skin and pave the way for the wrinkles of the skin. Rich in antioxidants Moringa Oil slows down the activities of free radicals and there finds a place in the anti-aging creams. It can be used in creams, lotions, balms, exfoliants, body oils and formulations of hair care in the proportion of 3-100%.Possesses also nourishing and emollient properties giving benefits for use in skin and hair care products. Moringa oil is useful to lift dirt from the hair and is an efficient natural cleaner. Good antioxidant properties are considered to be the factor behind its remarkable stability. Simply by wetting your hair, massaging the oil into the scalp and rinse can effectively clean and moisturize the scalp. It has nourishing and emollient properties, making it excellent oil for massages, which leaves the skin with a silky feel. Rich in palmitoleic, oleic, and linoleic acids, vitamins a and c and unsaturated fatty acid, Moringa oil has excellent moisturizing and nourishing qualities. Moringa seed oil is easily combined with essential oils and this combined with its quality does not dry and its ease of dispensability in skin is a perfect massage oil O clears pimples and prevents recurrence, if you regularly use o removes wrinkles and prevent sagging of the facial muscles o helps clear blemishes and blackheads. O makes face glow. O help to tighten the skin pores. O is able to purify the skin, balance oil secretion and remove the fatigue of the skin. Regular use reduces the formation of blackheads for all skin types. Counteracts the effect of contamination o keeps the skin healthy and bright. Skin moisturizing benefits are derived from the fact that moringa seed oil is high in vitamins a and c and unsaturated fatty acids. Moringa seed oil contains antiseptic and anti-inflammatory properties, which help to heal the complaints under the skin such as cuts, bruises, Burns, insect bites, rashes and scrapes quickly. Moringa oil is also useful for tanning purposes or maintain a Tan as this oil is rich in copper and calcium, important nutrients for the skin.